TMS Therapy is an alternative treatment for patients suffering from depression who haven't found success from past treatment using antidepressants. This revolutionary technology has been long-studied but has only been recently introduced to the market. Despite being cleared by the FDA only in 2008, TMS has immediately made a mark as an impressive treatment for depression, proving to be both noninvasive and effective for treatment-resistant patients who haven't responded to medications. Meaning that it doesn't involve surgery. It also doesn't require any anesthesia or sedation, as the patient remains awake and alert during the treatment. Meaning that it's not taken by mouth and doesn't circulate throughout the body via the bloodstream. TMS was adapted from MRI imaging technology, and development began as far back as 1985. For the first time in the history of psychiatry, we have a tool that can actually make changes within targeted areas of the brain without any invasive procedures, injections, or surgeries. Simple magnetic pulses delivered to the surface of the brain activate the parts of the brain associated with depression or anxiety. TMS is completely safe, non-invasive, doesn't involve radiation, and provides superior benefits to antidepressant medications - without the side effects associated with them. TMS is conducted right in the office while clients are awake and alert. No sedation is required, and clients can return to normal activities immediately after treatment. Each session lasts about 20-45 minutes, and is administered five days a week for approximately 4-6 weeks. The use of the TMS has grown as research continues to prove its safety and efficacy. Tens of thousands of clients have received treatment without any negative side effects. 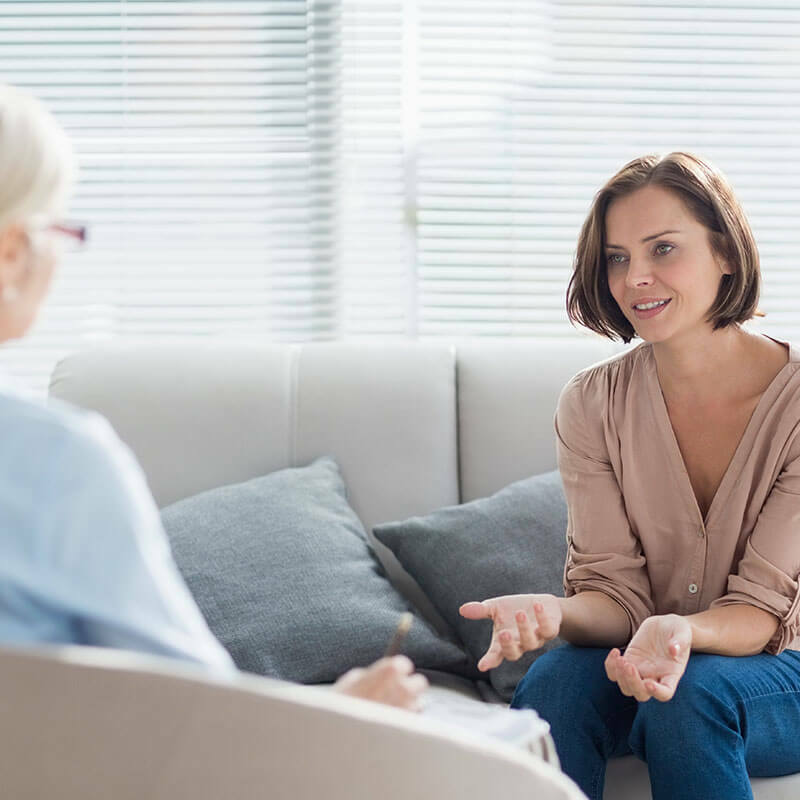 Since December 2010, the American Psychiatric Association has designated TMS as the go-to treatment when clients have failed 1-4 antidepressant medications, using the “Best Practices of Depression Treatment” guidelines. Although TMS has been in use in Europe and Canada since 1994, the FDA finally cleared it for use in the United States in 2008, following a massive 100 site study that showed it to be a safe and effective method of treatment. Currently most, if not all, insurance plans and companies cover TMS treatment for clients who suffer from depression and who haven't improved with antidepressant medications, aren't satisfied with the results of standard drug therapy, or are unable to tolerate or use these medications (such as in pregnancy). Brainsway's Deep TMS (Transcranial Magnetic Stimulation) is a groundbreaking treatment for major depressive disorder, which is effective, safe and non-invasive. Deep TMS can help patients with severe, persistent depression, and has been cleared by the FDA for depression patients who tried any number of antidepressants without improvement. TMS devices work by generating highly concentrated electromagnetic pulses which turn on and off very rapidly. These pulses are targeted at areas of the brain involved in mood regulation and shown to be inactive in patients suffering from depression. As these magnetic fields move into the brain, they produce very small electrical currents. These electrical currents activate brain cells in these inactive regions and release neurotransmitters like serotonin, norepinephrine, and dopamine – all of which work to naturally help lesson the symptoms of depression. The exact mechanics of TMS Therapy aren't completely understood, however, researchers can observe the positive effects that electromagnetic stimulation from TMS has on the brain.